One of the most interesting parts of ocean sailing are the sunrises and sunsets -- for the most part of the trip we didn't have any moon, but later in the trip we had a new moon for part of the day. As far as our trip progress we started heading east of the rhumb line on the expectation that we would be headed and could run down directly to the finish. The difficulty with this is that you have to predict the layline to the finish from 800 miles out -- something which is difficult and unwise to do. Otherwise life at sea is becoming very predictable -- we are on a variable watch schedule with people coming and going nearly every hour. The crew is starting to trade schedules with others if people are particularly tired. 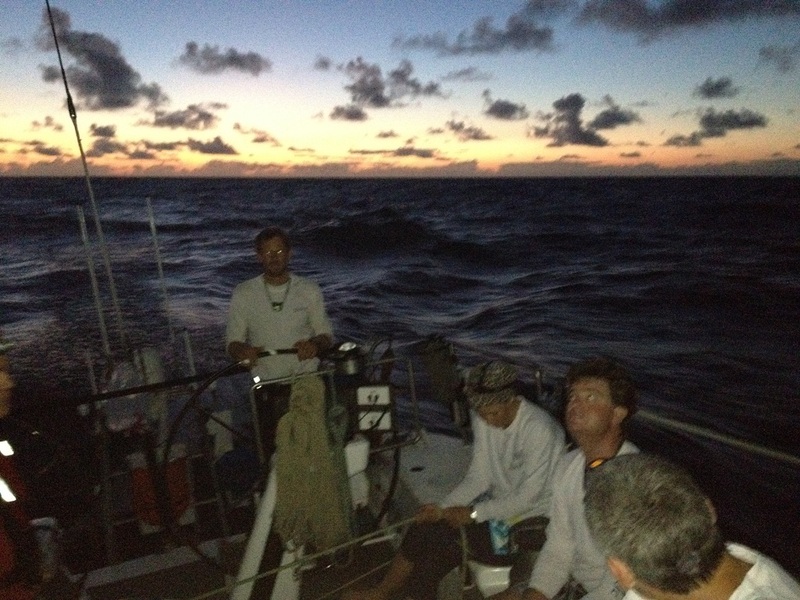 At this point we expect to arrive in Hawaii (Kaneohe Yacht Club) some time Friday morning.